Okay, sincerest apologies for flaking out on you for the last week. I didn't really mean for that to happen, but I was in the process of getting our family completely out of TN and down to FL. We will be here for the next 2 months before we move to Japan. 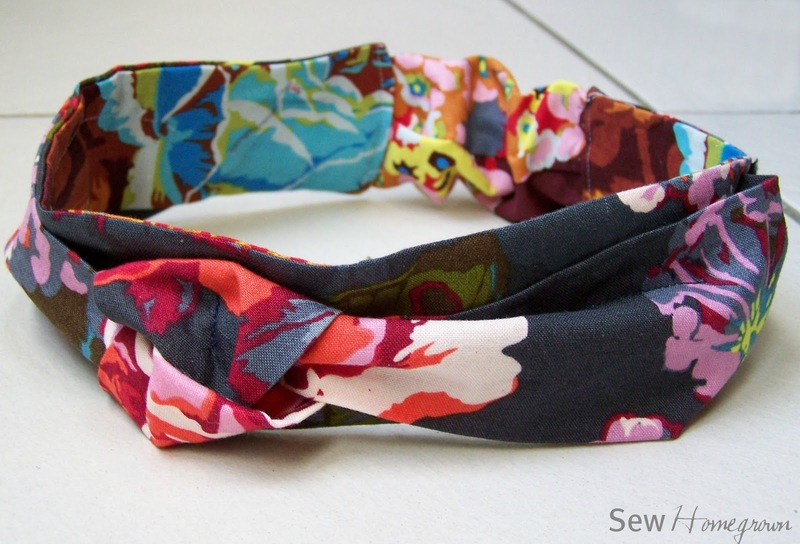 BUT I did manage to whip up this little headband last night and I wanted to share it with you. - and I was craving something in their style. 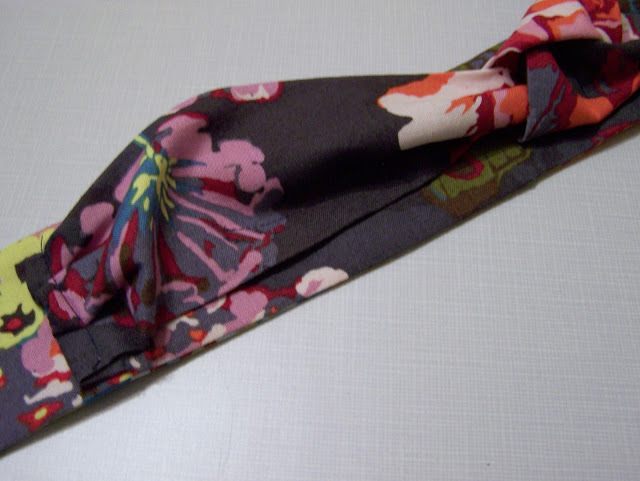 I made mine out of cotton, but theirs is made using a rayon fabric and I think it would be great to make another one using that. Step 1: Cut 1 strip (the one you want to make the knot in) 6"x26". Step 2: Fold each strip in half, length-wise and sew right sides together along the long edge. 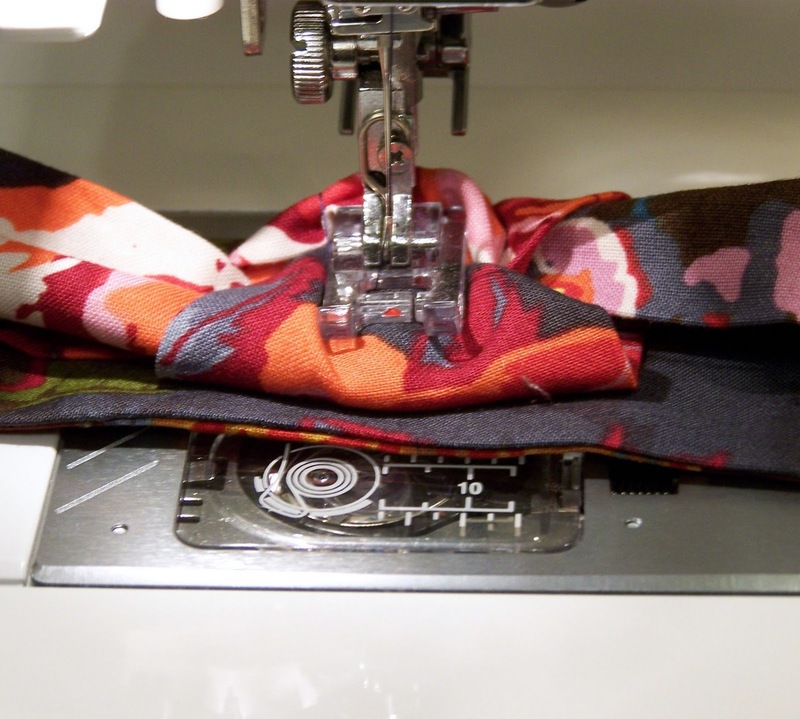 Open that seam and press it flat. 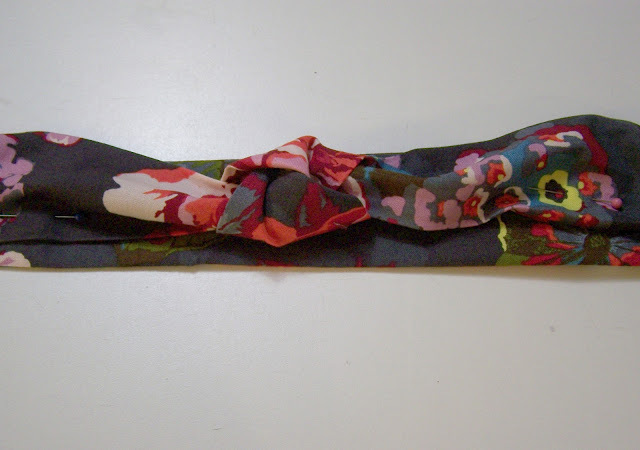 Step 2: Turn that tube right sides out and repeat with the other strip of fabric. Now you should have 2 strips, one 4" longer than the other. 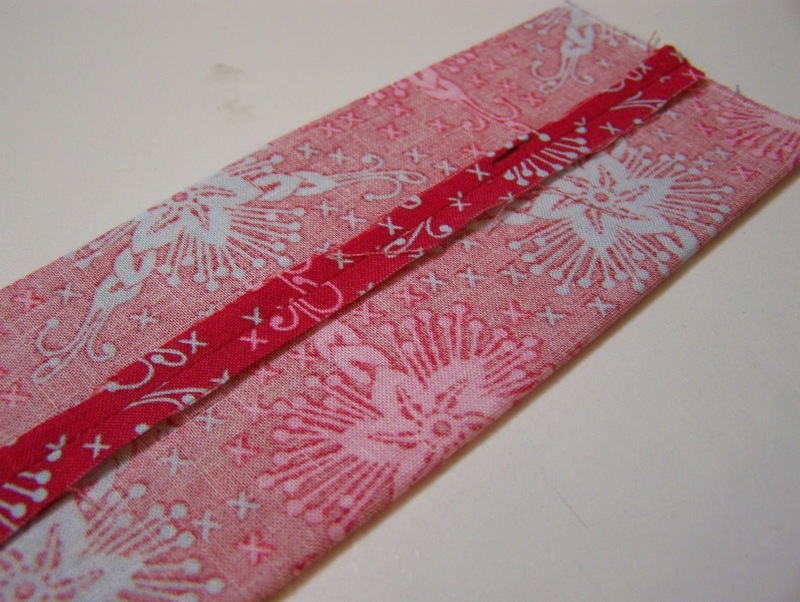 Step 3: Tie a knot in the middle of the longer strip. 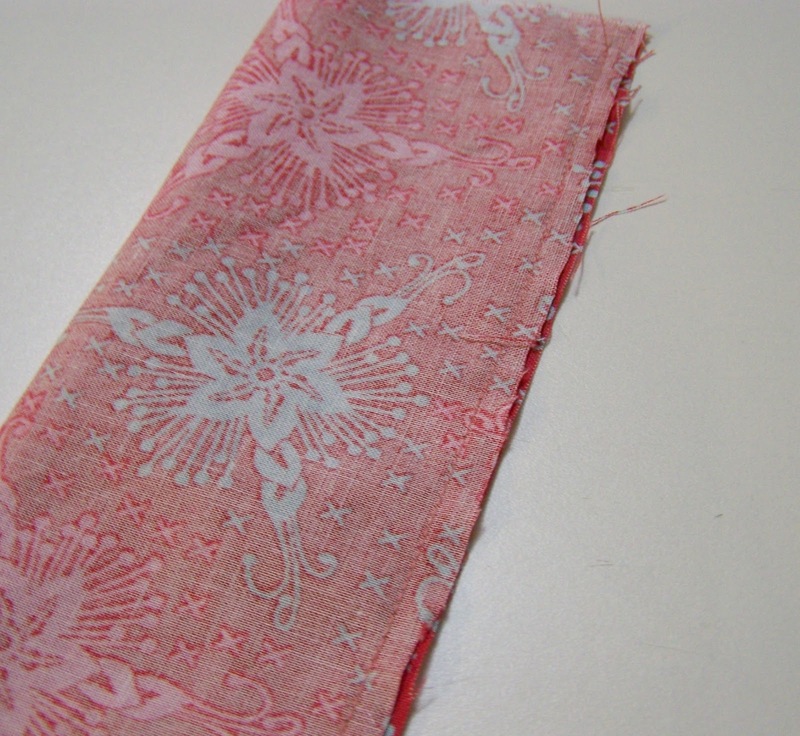 Pin it on top of the shorter strip. I kind of pinned it so it would look like it was flowing, rather than just flat. 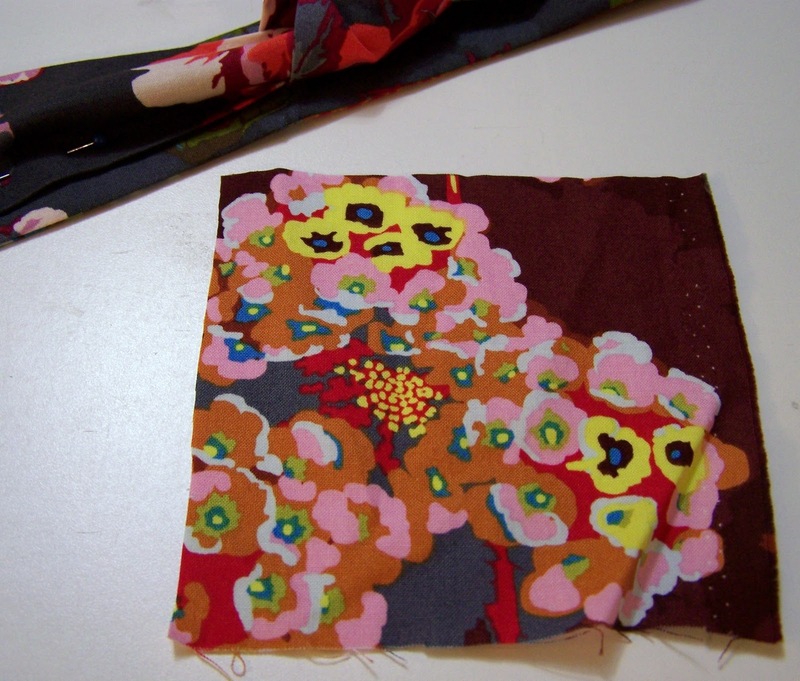 Step 4: Sew this piece onto the bottom piece - you just need a few little stitches to keep it in place. Turn the raw edges under and sew them down. Also secure the knot with a few stitches. Step 5: Cut a 5" square. 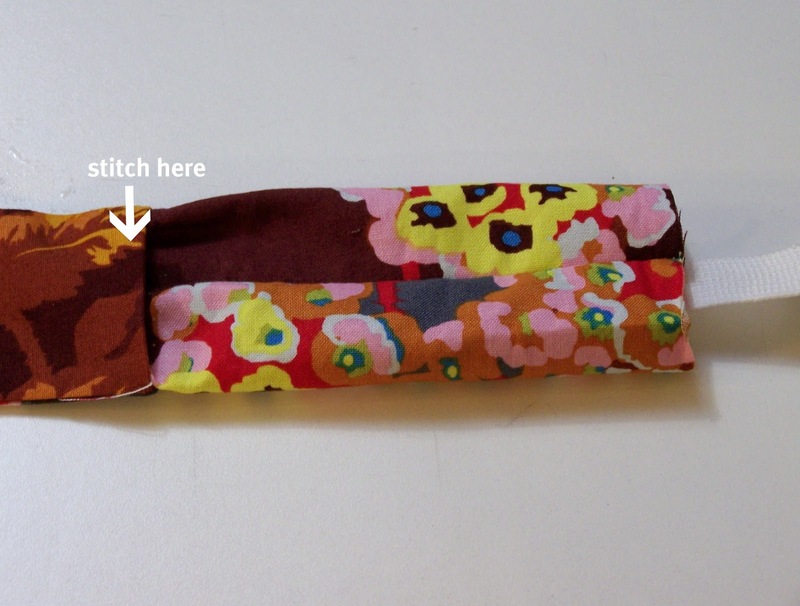 Sew it into a tube like you did with the strips at the beginning. Turn it right sides out. Step 6: Slide the elastic inside this tube. 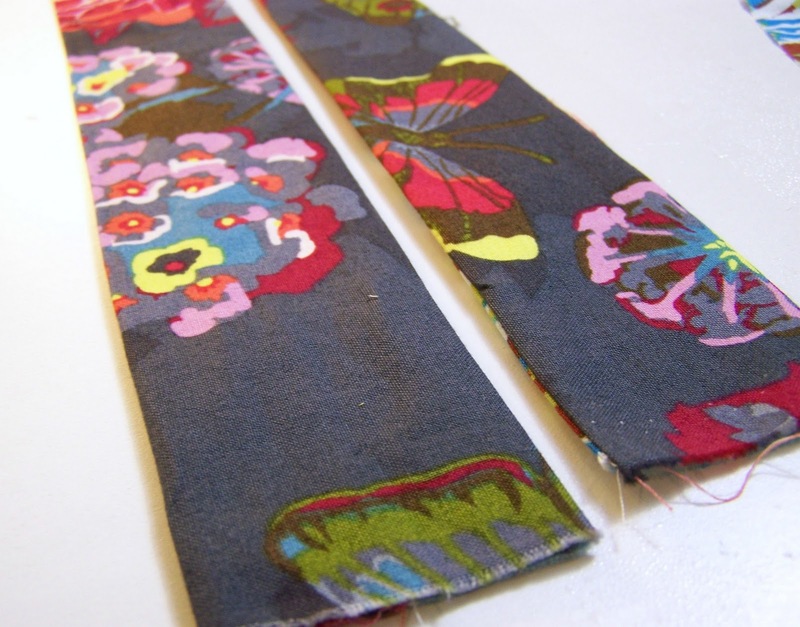 Then put the elastic and little tube inside the larger - tucking in the raw edges of the larger. Stitch across. 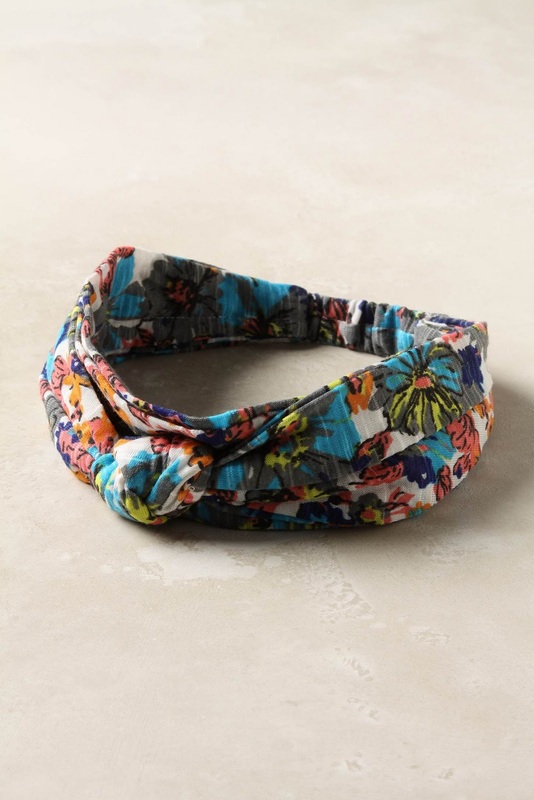 Step 7: Now try it on your head, and pull the elastic until it meets the other end of the headband and feels comfortable on your head. 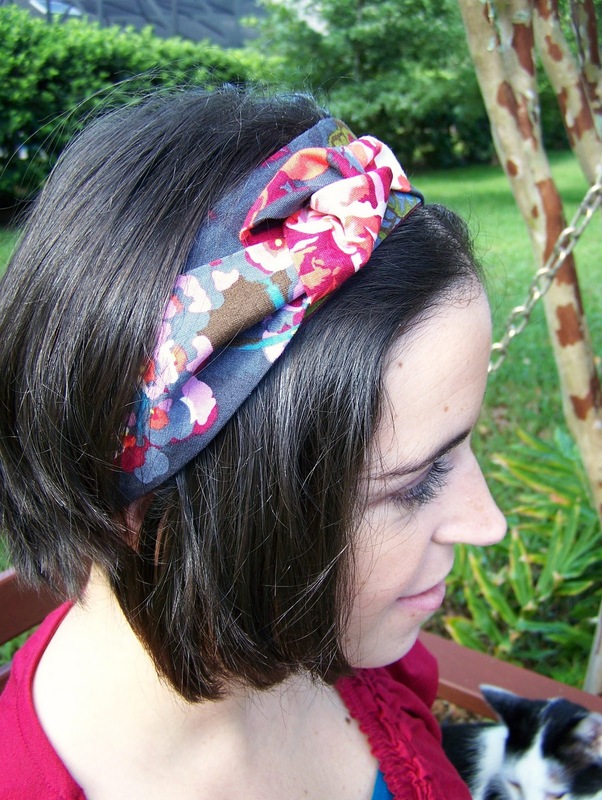 Keep your finger where the stretched elastic and free end of the headband meet. Take it off your head and put a mark on the elastic where your finger is. Scrunch up the little tube until the raw end matches up with the mark on the elastic. Slide the elastic and little tube into the open end of the headband and sew across.